Prominent & Leading Manufacturer from Chennai, we offer high pressure injection pump, portable high pressure pump, pressure booster pumps and pressure boosting pumps. 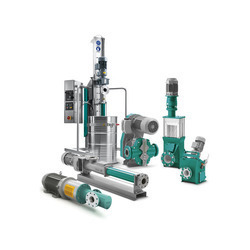 NETZSCH Pumps and Systems are the Leading manufacturer of High Pressure Injection Pump. The Positive Displacement Pump principle is ideal for handling slurries, viscous, shear sensitive or two/tri phase mixtures or when applications require, significant suction lift capabilities. 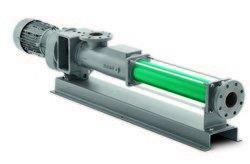 NETZSCH Pumps and Systems are the Leading manufacturer of Portable High Pressure Pumps. The Positive Displacement Pump principle is ideal for handling slurries, viscous, shear sensitive or two/tri phase mixtures or when applications require, significant suction lift capabilities. We manufacture & supply an array of Pressure Booster Pumps, which are designed to maintain the pressurized water flow at the outlets. Our products utilize minimal energy and are easy to maintain. It is suitable for areas that requires a large demand of water supply such as large houses, cottages and villas, domestic buildings, horticulture irrigation systems, hospitals, hotels, industrial plants and schools. We manufacture & supply an array of Pressure Boosting Pumps, which are designed to maintain the pressurized water flow at the outlets. Our products utilize minimal energy and are easy to maintain. It is suitable for areas that requires a large demand of water supply such as large houses, cottages and villas, domestic buildings, horticulture irrigation systems, hospitals, hotels, industrial plants and schools.